Burlesque from Our local scene's finest dancers. Comedy from seasoned comedy veterans. Mixed arts that surprise and inspire. 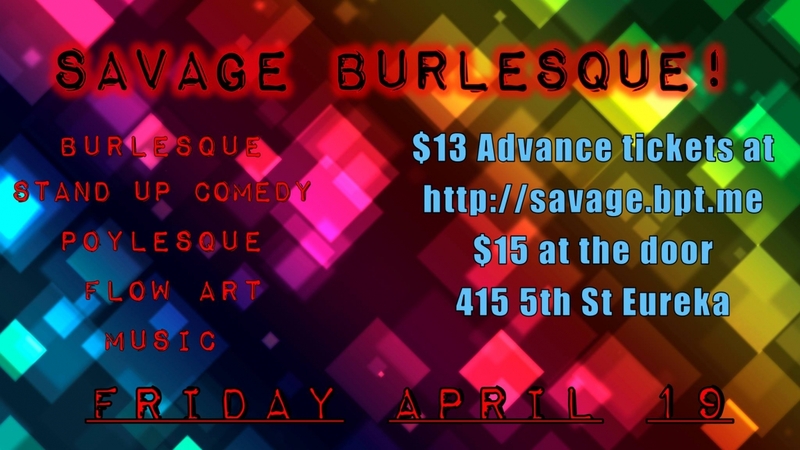 Friday April 19th Savage Burlesque has one goal: to entertain you. And it will. Capping off the evening with live dance music, we will rock the comedy club til 2 am. Come join us and see how Savage Henry can party.